Three kids in, and I seriously have this list going in my head for what is gold. There are just those certain things you don't even think twice about getting. And so, I give you, my favorite lifesavers. Thing 1: A good swing. Seriously. We scored one off Craigslist for $25 and asked for batteries for Christmas. Win/win. Adleigh only just recently stopped using it. I have memories, humorous now, of rocking Andrew (our oldest) in our arms because we didn't have a swing yet. Don't be us at 2 a.m.! Get a good swing! Thing 2: A place that does not share a hot water heater. True story. I will never ever forget having a newborn at home, being in pain everywhere from birth with milk supply (painfully) balancing out, and just wanting a hot shower. Alas, the hot water supply for our floor (yes, floor. We shared with two other units!) was all gone. Talk about bummer. Thing 3: A stock pile of something calming in the house. Bubble bath. Chocolate. An unshared hot water heater. Essential oils. A dart board. Find something that can be a good, inexpensive go-to on days when that circus and monkey are-horror- yours! P.s. Don't leave said bubblebath uncapped by the resident three-year-old. It may or may not end up dumped into one bath. Yep. Because who has time for a shower every single day?! Hats at least somewhat save the day! Thing 5: Something to do things for you. This is why a robotic vacuum and steam mop are on my list. Hello more time to at least pretend I can sleep! I should probably also just add self-cleaning toilet and shower while I'm at it, but since I can't have that, this just might do. This is the kind of thing I wished we had had with Andrew because he used all bottles and I spent so many minutes getting them ready for him! This would have been awesome to have had! 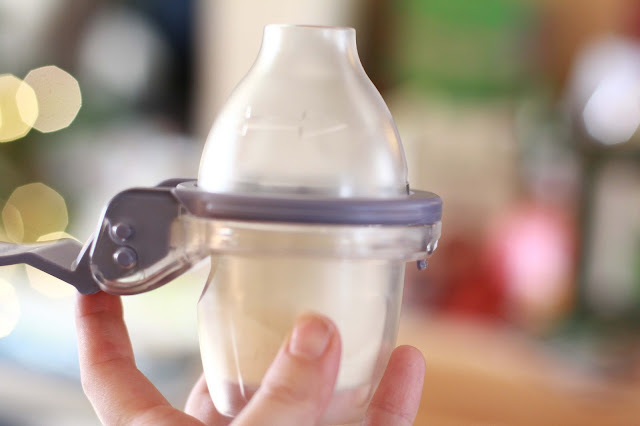 This, my friends, is like the instant drink maker of baby and toddler land (except, still, controlled by the parents.) Enter in, the BabyNes. 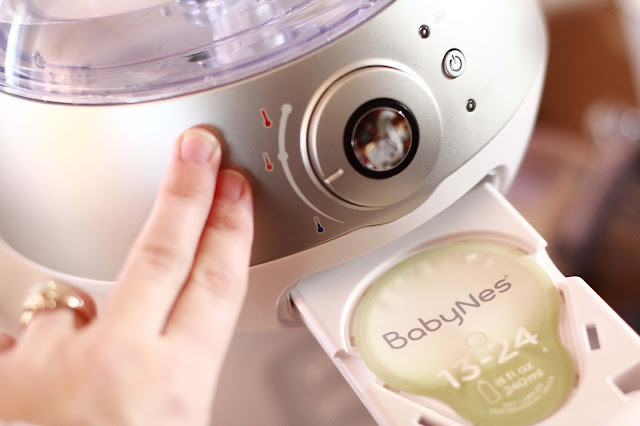 You literally add water, pop in the capsule, push the button, and voila! Instant bottle. I know what you're thinking. Aren't there cheaper gadgets that do this trick? Not this one- it even has a thermostat! I mean, how handy is that?! 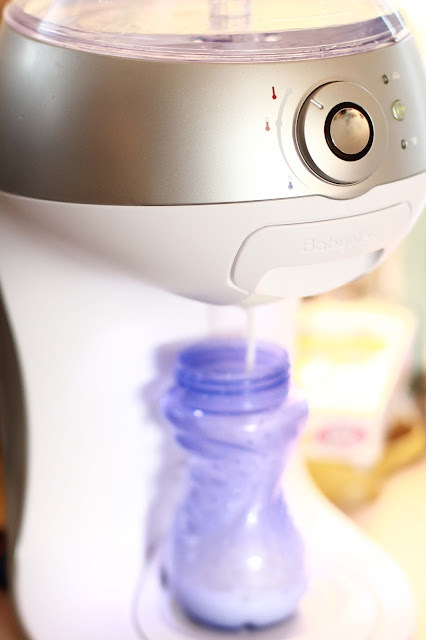 No more burning hot or lukewarm bottles! I work with infants and use an inexpensive gadget to heat bottles. It results in having to spend many minutes correcting my wrong guess for how much water to add; many minutes are wasted in cooling down or heating up the bottle. Who wants that? Not me! These pods are specifically designed for each stage. It's pretty snazzy! It's also Wi-Fi enabled and lets you track feedings and growth with the handy app. Handy on-the go opener makes it easy to take with. 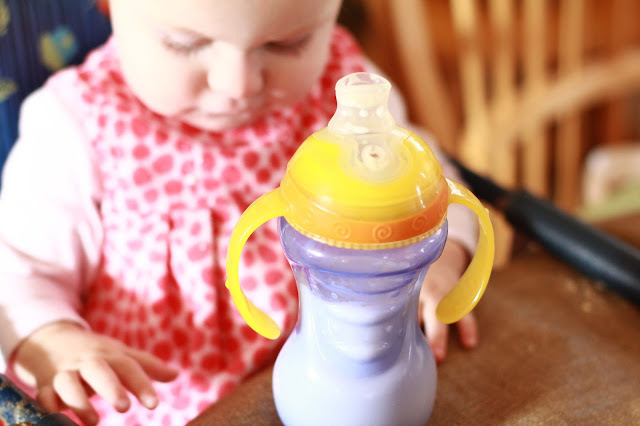 And, it even goes right into a sippy cup(or bottle). Easy peasy. 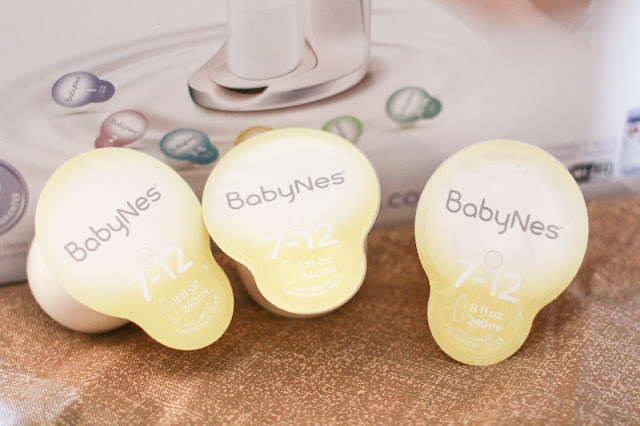 I know as a new mom, I felt so overwhelmed by all the choices of what I needed to have for our little baby! It was so nice to find my own little groove and take pride in what I loved! What were your favorite lifesavers? What did you not use at all or wished you had had? Right now, new mamas can snag a free baby bath towel or koala by using code TBXC here!